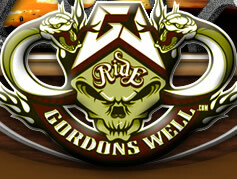 GordonsWell.com - Come Ride the Digital Dunes of Gordons Well! For California’s Beleaguered OHV dealers. Senator Dennis Hollingsworth (R-Murrieta), has introduced SB 510 in the California Senate at the request of the Off-Road Business Association. This bill would require the Workers’ Compensation Insurance Rating Bureau to establish separate worker’s compensation rates for employees of motorcycle, all-terrain, and off-road vehicle dealers. The burden placed on California’s businesses by out of control worker’s compensation rates has been well documented over the past several years. However, motorized recreational vehicle dealers take a double hit because of a rate structure known as “all inclusive” rates. Employers must pay the same worker’s compensation rates for their parts, apparel, cashier, and other similar employees that they pay on their mechanics. Employers pay a higher worker’s compensation rate for mechanics due to the higher risk for injury for that job classification. This causes motorcycle dealers to pay the highest rate for all their employees regardless of their job. Motorcycle dealers such as Motoworld of El Cajon are paying around $15,000 per month for worker’s compensation premiums for its 75 employees. These dealers have only two options when classifying employees: clerical and mechanic. 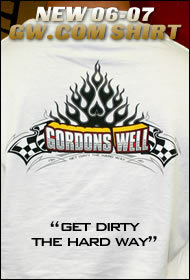 Currently, everyone working in the parts department or rider apparel section falls under the mechanic class. The Automotive sales industry has four classifications for their employees. According to Brian Juhnke, owner of Motoworld, “the classification system for the motorcycle industry is clearly unfair in relation to the major manufacturers’ automobile dealers in California”. ORBA is a Santee, California-based trade association comprised of off-road related businesses united to promote common goals that support the prosperity and growth of the off-road industry. Long-awaited Biological Opinion opens the door for the implementation of the Recreation Area Management Plan (RAMP) for the Imperial Sand Dunes Recreation Area. CARLSBAD, CA (January 25, 2005) – After years of preparation and litigation, the United States Fish and Wildlife Service has released its Biological Opinion for the Recreation Area Management Plan (RAMP) for the Imperial Sand Dunes Recreation Area (ISDRA) (a.k.a. Glamis). The plan was drafted two years ago with extensive input from the off-highway vehicle recreation community as well as the environmental community. The “No Jeopardy” opinion concludes that implementation of the RAMP will not lead to a decline in the population of the Peirson’s MilkVetch Plant (PMV) or the Desert Tortoise – currently listed as “threatened” under the Endangered Species Act. The PMV is believed to exist only in the Imperial Sand Dunes. Barring any further restraining litigation, this Biological Opinion clears the way for the Bureau of Land Management to proceed with the implementation of the Plan. Some of the areas within the ISDRA that were temporarily closed to off-highway vehicle (OHV) use as a result of a legal settlement will be reopened to vehicle use. A large portion of the central area of the ISDRA will be designated as an “Adaptive Management Area” where vehicle use will be allowed on a restricted basis. Implementation of the plan includes the improvement of OHV facilities including additional camping pads and restroom facilities. According to OHV attorney David Hubbard: “This Biological Opinion is very thorough and responds in detail to objections presented by opponents to the Plan. It will be very difficult for them to successfully challenge its conclusions in a court of law.” Hubbard represents the American Sand Association, the Off-Road Business Association, and the San Diego Off-Road Coalition in matters pertaining to the ISDRA. A BLM spokesperson warned the OHV community not to expect closures to be taken down over-night. Eleven protests to the Plan have been filed and these must be responded to by the National Director of the BLM before action can be taken. Also, an implementation schedule must be prepared to support the BLM’s Record of Decision. All of this will take some unpredictable amount of time.